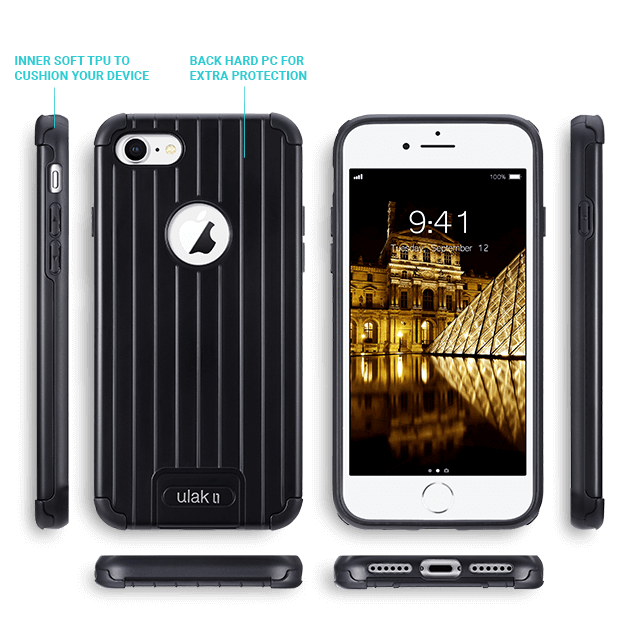 ULAK slim Fit iPhone 8 Case anti-slip grip protective case protects your iPhone 8 perfectly. All functions work excellent with this case. 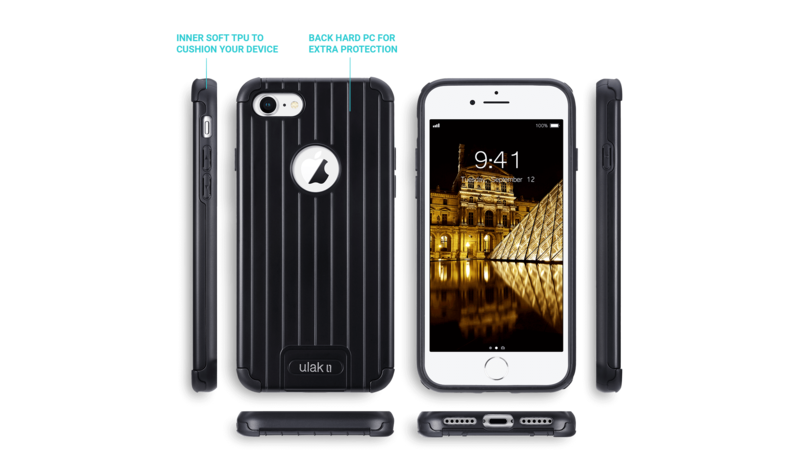 This good looking case covers the phone completely with Hybrid TPU and Hard PC Rugged back cover to secure your phone without being too bulky. Easy to hold case with grips on the side make it great for someone with arthritis or osteoarthritis of the hands or just clumsy. Raised bezel has a small lip above the screen so it's more protective than other thin cases to protect screen and camera from getting scratched when placed on flat surface. Defined and precise bottom cutouts allow for easy access to buttons and ports with comfort grip for full functionality, and attached dust caps protect charging ports from dirt.